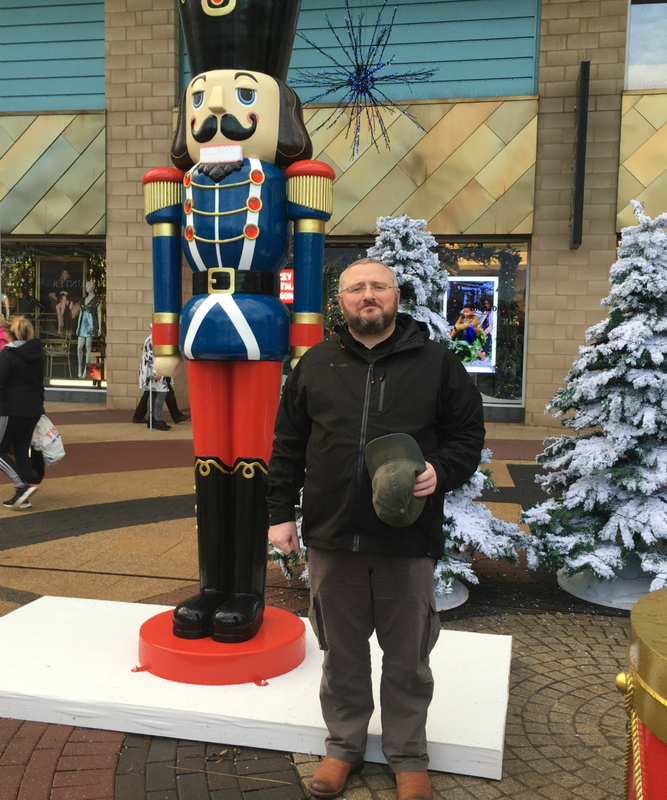 Rev Brian Casey, who is leading the fight to prevent 10-year-old orphan Giorgi Kakava from being deported, hopes to raise £4,000 to buy presents for children in the north of Glasgow and throw them and their parents a party. The money will be managed by a special committee called “In the same boat” and distributed to people referred by the Springburn Parish Church’s partners which include schools, the NHS, Marie Curie and two foodbanks. According to the Scottish Government, there are around 5,000 asylum seekers currently living in Glasgow – more than any other single area in the UK with numbers greater than Liverpool and Birmingham combined. UK Government rules mean that asylum seekers, many of whom live in deprived areas like Springburn and Possilpark in the north of the city, are not allowed to work so families are forced to survive on benefits and charitable giving. 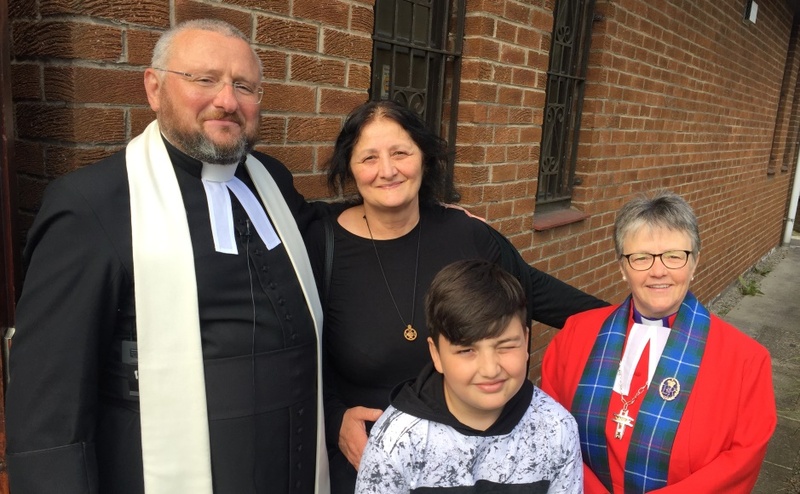 Mr Casey, minister of Springburn Parish Church, said the Christian faith calls on its followers to offer welcome and hospitality to the stranger, especially the vulnerable. He revealed that his initial target of raising £2,000 was met within three days so he has decided to double it. Mr Casey said: “I have been the minister at Springburn Parish Church for four years and during that time I have witnessed first-hand the impact of austerity, benefit sanctions and a hostile environment for refugees. “But I have also witnessed something else, something special – the kindness of people. Mr Casey said he was inspired to set up the fundraising campaign, which is backed by Paul Sweeney, MP for Glasgow North East and Bob Doris, MSP for Maryhill and Springburn, after a local supermarket worker told him that she and her neighbours clubbed together to buy furniture for a Syrian refugee family who had moved in next door. “I initially expected to hear rhetoric like ‘they come here and take our benefits’ but the folks of Glasgow have been so generous and loving towards people who really have nothing in some cases,” he added. “The supermarket worker told me that she was speaking with the Syrian family on the common landing and a plane flew overhead, causing the children to run screaming and crying into the house. Mr Casey said he hoped the money would bring some much needed cheer to people who have been impacted by changes to the benefit system. He added that the name of the committee tasked with deciding how the money is allocated is very apt. Mr Casey said: “All human beings are made in the image of God so that is why we are in the same boat. “Whether it is the boat crossing the Mediterranean, carrying people seeking relief from war, or the individual on benefits being left with no money due to the roll out of Universal Credit. Mr Doris said: “I warmly welcome this initiative and offer it my full support. “I have met too many people who are really struggling right now. In July, the Home Office granted permission for Giorgi and his grandmother Ketino Baikhadze to stay in the UK for two and a half years. Nearly 90,000 people have signed an online petition calling for the school boy to be allowed to stay in Glasgow, safe from the threat of violence or trafficking in Georgia, his country of birth. Mr Doris has urged Home Secretary Sajid Javid to grant full British citizenship to Giorgi and his grandmother.